Dr. Donald B. Levy, Medical Director of the Osher Center for Integrative Medicine at Brigham and Women’s Hospital and Matthew H. Kowalski, DC, a chiropractor at the Osher Center. You have many choices when seeking options for treatment of low back pain; however, many people become overwhelmed trying to identify the most appropriate health care provider. So when should you seek treatment for low back pain and who should you see? This post discusses how to navigate the health care system to get proper care if you are suffering from back pain. Sustain a substantial trauma and/or have weak bones (osteopenia or osteoporosis). Pain lasting longer than two weeks which has not responded to self care strategies. *a combination of these two “red flags” may represent a serious condition called cauda equina syndrome, which requires immediate surgical consultation. If you are seeking pain relief through prescription medication, you must consult a medical practitioner (including physician assistants, nurse practitioners, and osteopaths). If you have a complex medical history, or any of the red flags mentioned above, first consult your personal physician who understands your health best. Chiropractor – Provides evaluation and care for non-surgical patients. They administer manual procedures, prescribe therapeutic exercises, and provide advice on ergonomics and nutrition. Primary care provider (internist, nurse practitioner, physician’s assistant) – Manages patients with complex medical histories. A primary care provider also may prescribe short-term medication to get you through the acute phase of your back pain. Osteopath – Physicians who provide traditional medical treatment, as well as some manipulative therapies. Pain management specialist – Physicians who offer a range of services to help patients cope with back pain, including biofeedback, counseling services, acupuncture, spinal injections, implantable therapies, palliative care, hypnosis, cognitive behavioral therapy, interdisciplinary care, pharmacy consultations, and more. Physiatrist – Trained in rehabilitation and pain management, most physiatrists specialize in non-surgical treatments. They can evaluate patients, prescribe medications or physical therapy, and administer various types of spinal and musculoskeletal injections when appropriate. Physical therapist – Treats patients with both acute and chronic pain, often as part of a spine care team. They integrate manual therapies, exercise, ergonomic training, and soft tissue therapies into their care strategies to help restore strength and endurance. Rheumatologist – Evaluates and manages certain arthritic diseases of the spine, such as ankylosing spondylitis. Spine surgeon – Provides surgical treatments after other options have been exhausted. Spine surgeons include both orthopedic surgeons and neurosurgeons who have been trained in spinal surgery techniques. How Long Should It Take to Respond to Treatment? Your response to treatment is dependent upon a number of factors, including the complexity of your health problem, personal health status, the number of prior episodes of pain, your perception of pain, the severity of your pain, and how well you follow the advice provided. In most instances, you should see a response to non-pharmacologic and non-invasive treatment within a couple of weeks. If you are not responding within two to four weeks, the problem should be further investigated and treatment modified. 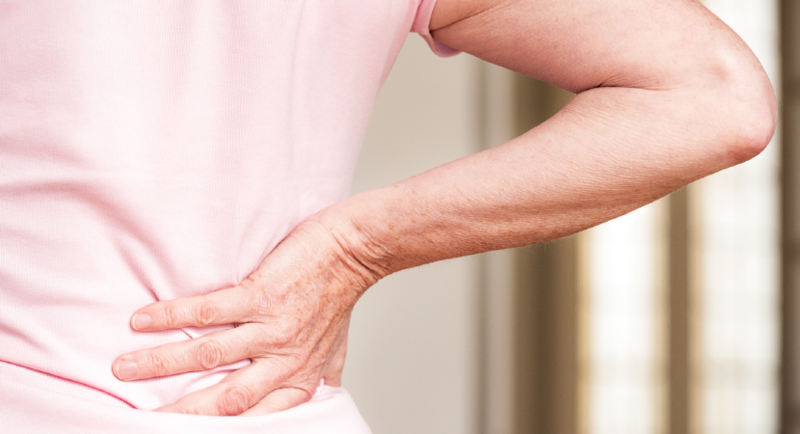 For information on how to get treatment for back pain, read the May 2013 issue of the Osher Center’s Healthy 850 enewsletter or visit our Orthopedic Spine Service page.